Part of the conceit of acting in general is playing characters other than who an actor is themselves. Actors play whatever parts they are given to play depending on what the story is and what the characters entail, but one of the more practical aspects of playing a character may be the difference in age between the actor and a character; especially for characters that tend to be late teenagers or high school students. Acting is difficult and all throughout Hollywood history, filmmakers have tended towards casting an older actor with more experience to portray teenage characters. More recently, younger actors have managed to land parts close to their own age, but the phenomenon of casting older actors is still alive and well. Certain actors and their characters have such dramatic differences between their ages at times that it makes the portrayal somewhat surprising, as there may have been a decade or more of age differences between them. For this list, we’re looking at some of the biggest age differences between characters and their actors in movies and television. This happens in all sorts of genres from comedy, musicals, dramas, sci-fi, and fantasy. In some instances, the actors have done such a good job inhabiting the age of their characters that their real life ages are surprising to learn. In other cases, the actor may be so well known or their adult physicality in a teenage part hampers the suspension of disbelief. Believable or not, here are the 20 Oldest Actors to Ever Play High School Characters! 1978's Grease followed leather-clad bad boy Danny Zuko and sweet-natured transfer student Sandy Olsson in their senior year at Rydell High School. It just so happens that Dany and Sandy had met over the summer and grew musically attracted to each other. Grease was another star-making vehicle for John Travolta as Danny, while Olivia Newton-John had an eye-popping turn as Sandy. At school, Danny and Sandy each have a clique they become a part of. Danny tells his friends, the T-Birds, all about Sandy, and Sandy confides to all the Pink Ladies. Among the Pink ladies is Betty Rizzo, played by Stockard Channing. Even though Channing was 34 when Grease premiered, she portrayed the gossiping giddiness of teenagers very well. Happy Days is one of the most famous and popular sitcoms in television history. It ran from 1974 to 1984, following an average middle-class family, the Cunninghams, in 1950s Milwaukee, Wisconsin, and it boasted one of the most famous break out characters of any series. Arthur “The Fonz” Fonzarelli was the coolest kid in school, with a knack for mechanics and success with the ladies. He originally appeared on the show only as a recurring character, but it didn’t take long for viewers to make their favoritism known. 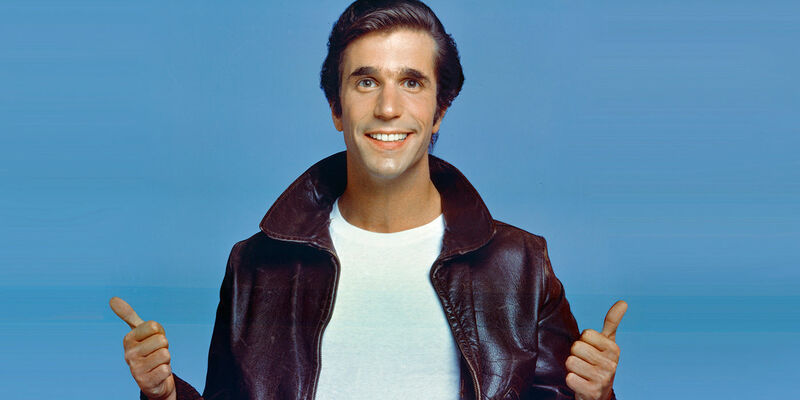 Henry Winkler played the Fonz throughout the show’s run, and while the Fonz was meant to be in high school, along with the other teenage characters, Winkler was 29 when Happy Days premiered. The older Winkler was an understandable choice, though, given how much charisma the character called for. Beverly Hills 90210 pioneered the modern incarnation of the teen TV soap opera. The series followed a group of teenage friends and their families in the glamorous neighborhood of Beverly Hills in the 80s and 90s. Over the course of the show’s 10 year run between 1990 and 2000, the characters dealt with all kinds of personal and topical issues through high school, college, and adulthood. However, the series was also well known for its actors being considerably older than its characters. Actor Gabrielle Carteris had the greatest discrepancy in age with her character as she was 29 when she started playing high school junior Andrea Zuckerman. She really played up the nerdy good girl character, even though Zuckerman dealt with unexpected pregnancy during her freshman year of college on the show. The first Spider-Man live action feature film needed a recognizable, relatable incarnation of Peter Parker and Sam Raimi decided on Tobey Maguire for the web slinging wallcrawler in 2002. At 26, Maguire was certainly older than Peter Parker was supposed to be in the film, but many fans still think he did a good job with the character, even with different actors having played the part in recent years. When we first meet Peter, he’s awkward, unpopular, nerdy, and hopelessly in love with Mary Jane Watson. After he gets his powers from a genetically engineered spider bite, none of those qualities change much. He’s still the same Peter Parker, just with greater power and greater responsibility. Despite the age difference, Maguire was able to convey Peter’s struggles believably and consistently throughout the film. Back to the Future is a 1985 sci-fi action movie directed by Robert Zemeckis. Michael J. Fox stars as high school teenager Marty McFly, who’s self-conscious about his musical ambitions being rejected. He’s also friends with the eccentric inventor Dr. Emmett Brown, played by Christopher Lloyd. In the first act, Dr. Brown’s experiment goes wrong and Marty is transferred back in time to 1955 in a time machine known as the DeLorean. 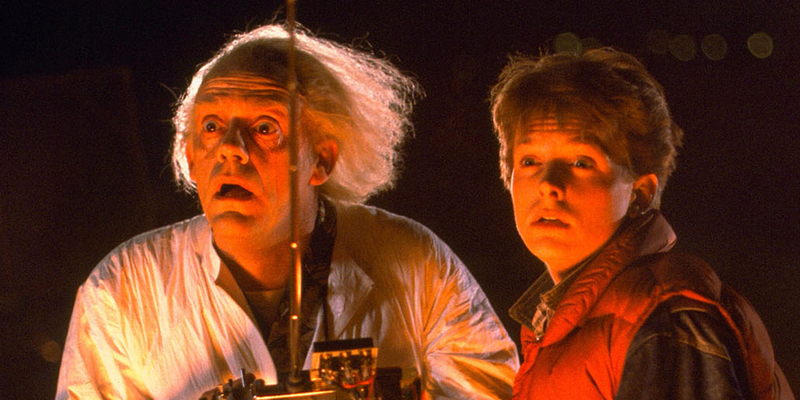 Even though Fox was 24 when he first started playing Marty McFly, his performance has become one of the most memorable parts of the Back to the Future trilogy. His performance was so believable that Fox continued to play the teenager when he was 29 in the third installment. It’s hard to imagine anyone else squinting with nerves behind the wheel of the DeLorean, shredding a guitar while rolling on the stage, or riding a hoverboard from the future. In Disney Channel’s Hannah Montana, Miley Stewart leads the life of an average high school girl... at least to most of her class mates. Only her family and two best friends know that Miley is actually the teen pop sensation Hannah Montana. She does her best to keep her two lives separate, even with some embarrassing or hilarious consequences. Miley Cyrus’ character had an annoying two-year older brother on the show named Jackson, played by Jason Earles. Even though Earles was 29 years old when Hannah Montana premiered, he played a lazy, greedy, awkward teenager very well. Even though he embarrasses or upsets Miley at the start of most episodes, he’s there for his sister when it counts. In Harry Potter and the Chamber of Secrets, Harry and his friends must uncover an ancient plot of vengeance set in motion by the founder of the Slytherin House. Someone or something is attacking the residents of the castle and petrifying them, supposedly a monster hidden in the mythical Chamber of Secrets. It turns out that the monster’s earlier casualty was a student named Moaning Myrtle, who now haunts the girl's bathroom as a ghost. Shirley Henderson played Moaning Myrtle in Chamber of Secrets and her cameo in Goblet of Fire. Henderson certainly looked the part of a distraught school girl, but she was in fact 36 years old at the time of filming! Appearing as a ghost may have helped Henderson appear younger even more. In Gilmore Girls, Rory Gilmore’s best friend in Stars Hollow is Lane Kim, played by Keiko Agena. Agena was 27 years old when the show debuted, and her character of Lane was 16. Lane loves music and performs as a cheerleader and member of the marching band, but her mother is very strict with her, which results in Lane using floorboards and the back of her closet to hide music, cosmetics, and clothes that her mother wouldn’t approve of. Agena plays Lane’s awkwardness, love of music, and tension with her mother very believably throughout the series. Over the course of the show, she joins a band and falls in love with her bandmate Zack, whom she marries and very quickly has twin boys with. Audrey Hepburn gave her most notable performance in 1961’s Breakfast at Tiffany’s. She played Holly Golightly, a naïve, late-teens, eccentric socialite trying to make her way in New York City by endearing herself to wealthy, older gentlemen. Everything about Holly’s look, from her dresses to her hair, to her smile and long cigarette holder, are instantly recognizable icons. Hepburn was 32 when playing the part of Holly Golightly. Over the course of the film, Holly reexamines her materialistic priorities and falls for her far humbler friend Paul. The part called for an actress who could convey the charm and poise of someone navigating the social elite of New York City while also portraying some selfishness and immaturity at appropriate moments. In Pretty Little Liars, four elite high school girls are saddened by the disappearance of their clique leader, Alison. A year later, they start receiving messages referring to hidden information about each of them; information they all thought only Alison knew about. Emily Fields is the most athletically inclined of the four initial main characters and she’s also hiding her orientation. In the first season, she becomes attracted to Maya St. Germain, played by Bianca Lawson. Lawson was 31 years old while playing the part of the high school teenager, and given the level of exciting drama and subterfuge Pretty Little Liars was known for, this level of age difference between the actors and characters was not unreasonable. When Buffy Summers moved to Sunnydale High School, most of the students and residents completely ignored her demon hunting activities. Cordelia Chase, the school’s head cheerleader, butts heads with Buffy at first, but she eventually learns the truth. In the earlier seasons of Buffy the Vampire Slayer, Cordelia helps keep the Hellmouth Spawn at bay, and in the spinoff series Angel, she joins with the titular heroic vampire to launch a supernatural detective agency. Charisma Carpenter started playing the teenager in both Buffy and Angel when she was 27, and over both series, Cordelia grew a lot as a character. At first, she was a vapid, talkative high school cheerleader, but by the time of her later appearances on Angel, she had become a capable fighter. When high school slacker Ferris Bueller skips school one day, he convinces his carefree girlfriend Sloane and his neurotic best friend Cameron to go along with him. Ferris also convinces Cameron to let him borrow his dad’s prized sports car for their little joy ride. Ferris’ high school senior best friend Cameron was played by Alan Ruck, who was 30 years old when Ferris’s Bueller’s Day Off premiered in 1986. But, you might not think of it judging by his performance. Ruck encapsulates the character's neuroticism and demonstrates how Cameron is emotionally neglected by his father. Ruck gave a memorable, convincing performance for the character that actually grows the most in the movie. Riverdale takes plenty of creative liberties with the setting and famous characters of Archie Comics. The story takes place in modern times and the story is much darker than the original comics would suggest. However, one of the most noticeably different characters from the comics is Josie. In the original Archie Comics, Josie is the lead singer of “Josie and the Pussycats,” and generally, she gets along fine with Archie, but in Riverdale, she’s initially suspicious and aloof with him. Also, Josie is critical of herself and her music and doesn’t hold back her opinion. She even kicks off members of the Pussycats when she feels they aren’t pulling their weight. 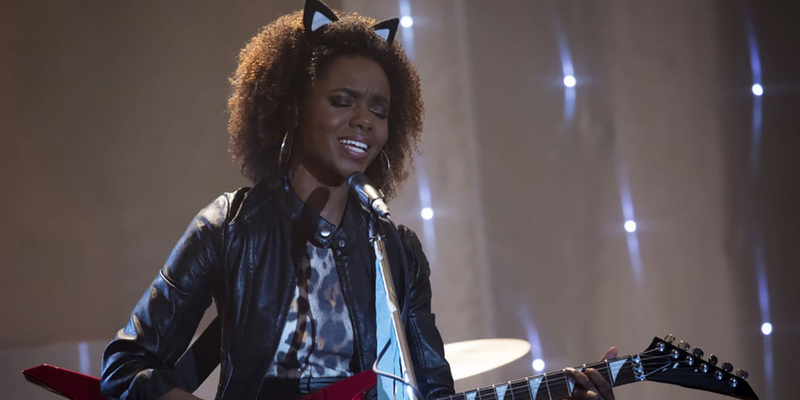 Although Josie is in high school, along with the other main characters on the show, she is played by 29-year-old Ashleigh Murray. Despite the age gap, she definitely brings the bite and ambition that the character needs. 13 Reasons Why is a Netflix adaptation of a YA novel of the same name by Jay Asher. In the series, several students at Liberty High School receive a mysterious package of audio cassettes that appear to be recordings made by Hannah Baker, a student at the high school who took her own life two weeks earlier. In the tapes, she names Zach Dempsey as one of the people she feels contributed to her decision to commit suicide. 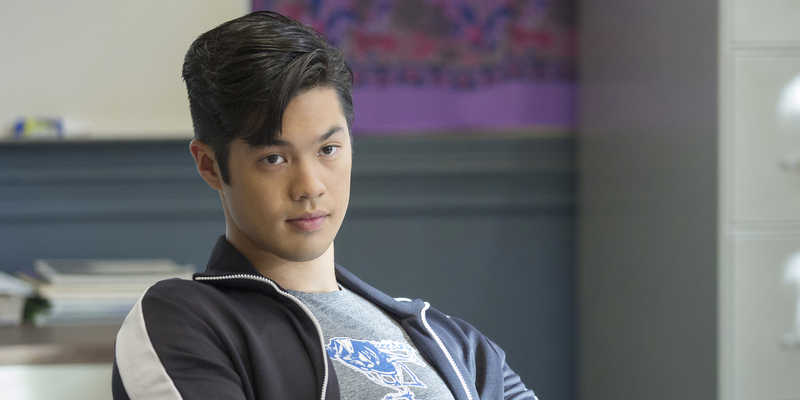 Dempsey, played by 27-year-old Ross Butler, is part of the school’s mean jock clique, but he’s actually a decent guy when his friends don’t peer pressure him. In his performance, Butler was able to capture the deep internal conflict that many teenagers grapple with very well. Barbra Streisand directed, co-wrote, co-produced, and starred in 1983's Yentl. The film was a big screen musical adaptation of a Broadway play of the same name by Leah Napolin and Isaac Bashevis Singer. Streisand plays Yentl Mendel, a teenage Jewish girl living in 1900s Poland. After her father passes away, she continues studying the holy Talmud even though Jewish women are forbidden from doing so. She also assumes the identity of her deceased older brother and attends a Yeshiva school disguised as a boy. Streisand was 41 years old at the time of production and was already famous for other roles closer to her own age. She gives a riveting, dramatic, and musical performance, but it was hard to believe she was a teenager. Steven Spielberg’s 2002 film Catch Me If You Can tells a tale inspired by the true story of Frank Abagnale Jr. Before he was 19 years old, Abagnale committed identity and bank fraud to enrich himself by the millions. In the film, Leonardo DiCaprio plays Frank Abagnale Jr. and Tom Hanks plays Carl Hanratty, an FBI fraud agent who spends the whole film trying to track Frank down. DiCaprio (28 at the time) has always had a boyish face, which led to him being cast in younger roles. Catch Me if You Can plays with that trend a bit as part of Abagnale Jr.’s cons is pretending to be people that are older or more experienced than he really is. So, DiCaprio is playing a character much younger than him, who in turn, is passing off as professionals older than himself. SONY Pictures continued the approach of casting an older-than-high-school-age actor when they decided to reboot the Spider-Man franchise. For 2012's The Amazing Spider-Man, then 28-year-old Andrew Garfield stepped into the red and blue superhero suit and into the nerdy high school role of Peter Parker. Regardless of Garfield’s age, the film’s take on the character of Spider-Man is still divisive among fans of the superhero. Peter seems meaner and more sure of himself than most depictions have presented. Perhaps that could be taken as a grittier, more earnest depiction of what a teenager with super powers would act like, but it still feels like too great a departure for some viewers. Save the Last Dance is a 2001 teen dance drama starring Julia Stiles and Sean Patrick Thomas. Stiles plays teenager Sara, a ballerina who moves to Chicago with her father after her mother perishes. Thomas plays Derek, a local high school senior who dances hip hop and who also dreams of becoming a doctor. The two of them eventually start dancing together and form a romantic relationship, despite the disapproval of many of the other students. While Thomas was 30 years old at the time of the movie’s premiere, his performance was well received. Derek is wiser and steadier than most of his peers and he inspires Sara to not give up on her dreams of pursuing ballet. Forrest Gump is about a simple-minded, but good-hearted man played by Tom Hanks. While waiting for a bus he recounts the events of his life to a procession of strangers who are also waiting on the bench next to him. 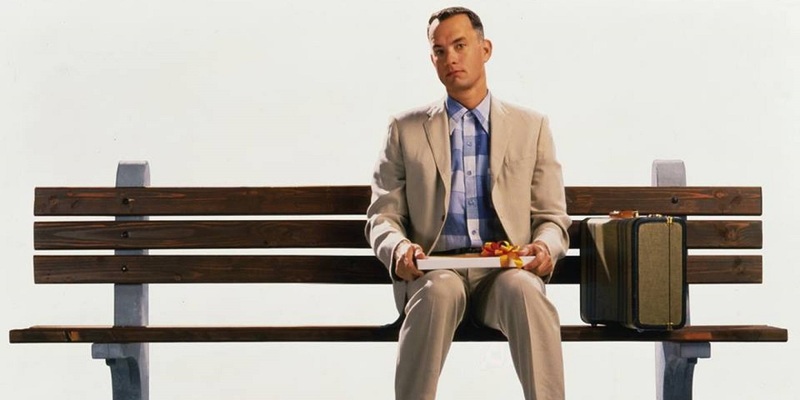 It turns out that Forrest Gump has led an eventful life from his birth in the 50s, to the film’s present in the 90s. After some initial scenes with Forrest as a child in the Deep South, Hanks plays Forrest starting from his senior year of high school. It was a bit of a stretch for the adult Hanks, who was 37 years old when the film premiered in 1994. But, Hanks’s portrayal of Forrest’s earnestness and determination shine through in every part of the film, regardless of the character’s age. Wet Hot American Summer is a 2001 dark parody of the lighthearted teen summer camp comedies of the 1980s. Among the many recognizable present day stars who appeared in the film is Paul Rudd. Rudd was 32 years old at the time, playing a lazy, careless camp lifeguard named Andy Fleckner. Rudd perfectly captures the cynical, selfish indignation of some teenagers in the film. When we first meet him, he throws a tantrum after Janeane Garofalo calls him out for throwing a plate of food on the cafeteria floor. Later on, he betrays his girlfriend Kate by getting involved with Elizabeth Banks’ Lindsay. To make matters works, he does this while on lifeguard duty and consequently lets one of the campers drown in the lake. Who are some other older actors that have played younger roles? Let us know in the comments below!